We are pleased to announce that Ani Moradkhan, a talented artist and instructor, is opening her studio, here at Whites, to offer your child the opportunity to explore their creativity. 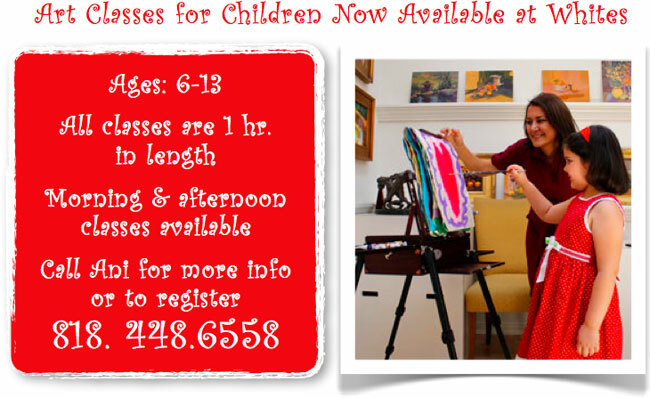 Art classes are conducted in a professional art studio environment. Art classes are fun, engaging and educational.